Vrije Universiteit Amsterdam (VU) was founded in 1880 and is one of the top research universities in the Netherlands. There are over 23,000 students at VU and hundreds of courses taught entirely in English. There are many international students and faculty, creating a diverse and globally-minded learning environment. Some popular areas of study at VU are earth and life sciences, behavioral sciences, business, economics, social sciences, and humanities.VU was the first university in the Netherlands to be established without ties to the church or the state. This legacy is maintained as it still operates unconventionally, determining its own areas of research as well as creating unique study programs and specialized pedagogical models. VU encourages a student-centered teaching style where you will be given opportunities to develop your opinions through creative and critical thinking. All academic programs are housed at VU's main campus in the Zuid district, Amsterdam's business center. It is a beautiful, modern campus with student housing and many facilities including computer labs, fitness centers, a green office, and even a bike repair shop. The VU campus is well-connected to public transportation; it is only a 15 minute train ride to downtown and an eight minute train ride to Schiphol Airport. In this interdisciplinary and academically rigorous program at Vrije Universiteit Amsterdam (VU), you will take an intensive, in-depth look into your chosen course of study. All classes are instructed in English with other international students. Course offerings are highly specialized, focusing on research methodology across various disciplines. Each course also has an experiential learning component. You will use Amsterdam as your classroom as labs, field trips, and other activities facilitate deeper engagement with course material. You will make course selections upon application to the program. This is a tentative selection as admission into all courses is dependent upon approval by the host university; VU will vet your completion of the stated pre-requisites before granting admission to a course. VU follows a modular academic structure. The summer is divided into three sessions (called blocks) which are each two weeks in length. You will take one course during each block that correspond with the program title. Students must have a minimum grade point average of 3.00. You must hold at least a Sophomore standing at the time of study. You must submit a recent resume and letter of intent before your application is considered complete. Note that if you have completed just one year of university courses before the start of the Summer term you are not eligible to participate in this program. Please consider Summer 1 or Summer 2 instead. Contact ISA with any questions. The courses listed below are based off of last year’s course offerings and ISA will inform students of course updates as they become available. All students are required to indicate course selection upon application to the program. This is a tentative selection as all course eligibility will be determined by VU. Additional upper division courses may be available. Students are expected to complete self-study hours in order to keep up with class material. Requests for detailed course descriptions can be made to the Amsterdam Site Specialist. Eligibility for courses is dependent upon the fulfillment of the posted pre-requisites. Please note that local VU students are on an academic track very different than in the US; they do not take general education courses and are often at a higher level of study than their US counterparts within the same discipline. All course selections are dependent upon approval from VU. The academic structure at VU is different than in the US with exams totaling up to 100% of final grade. Please consider each course’s assessment techniques as you make your course selection. ISA recommends 3 U.S. semester credits/4.5 quarter units per 45 contact hours. Credit transfer is ultimately determined by the student's home university. Upon program completion, students will receive an official transcript issued by VU. The transcript will reflect ECTS credits for all courses taken. Laura is from “The Cape” in Massachusetts and earned her BA in psychology from University of Massachusetts Amherst. Her love of travel was inspired by a trip to Israel and her family’s stories about their travel adventures. Wanting to see more of the world, Laura studied abroad in Port Elizabeth, South Africa with ISA. Now she tries to go abroad at least once every year! Studying abroad was a life changing experience and she loves that she found a profession that makes a tangible impact on people’s lives every day. In addition to helping students on their study abroad journey, she hopes to merge her passion for study abroad and mental health awareness. In her spare time Laura enjoys swimming, hiking, and reading. Jenna completed her first semester abroad in a small town in southern Spain during high school and international education has been an important part of her life ever since. 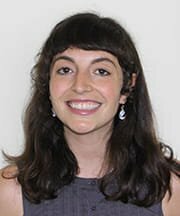 She has participated in three other study abroad programs, including a year in Santiago, Chile and has earned an MA in International Education Management from the Middlebury Institute of International Studies. 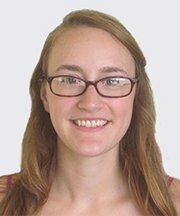 Jenna finds joy and meaning assisting students in realizing international experiences to meet their language goals and increase intercultural competency. Outside of work Jenna spends her time knitting, frolicking outdoors, stretching and breathing, and visiting her home state of California. Marina was born in and raised in Andalucia in Southern Spain where she attended the Universidad de Sevilla. With a passion for both travel and architecture, Marina studied abroad in Poland where she traveled extensively through the region. Because of this rewarding experience she decided to teach Spanish as a foreign language, allowing her to keep in touch with different cultures and languages. 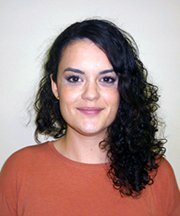 Marina joined the ISA Barcelona team in 2013 and became the Amsterdam Resident Director in 2017. Marina loves working on-site and helping students make the most of their time abroad. Marina enjoys cooking, travelling the world, coloring mandalas, volunteering, giving Reiki, and finding inspiration in life's challenges. Living in ISA housing will allow you the opportunity to experience aspects of the local lifestyle that are inaccessible to the average visitor. Regardless of your housing option, you will have a short commute to your university. Travel times to the various university buildings generally range between 15 and 40 minutes depending on housing and class locations. With an open and adaptable mind, the experience of living in another culture can be highly rewarding. While in Amsterdam you'll be housed at a student residence. You will have a single room on a shared floor with ISA students and other international students. Meal service is not included but you will have a shared kitchen to prepare meals as well as access to the on-campus dining options. Laundry facilities are available for an additional cost. You will pay a $500 refundable security deposit if living in this ISA housing option. ISA may retain some, or all, of this deposit in the event of damage to property, or if utility usage exceeds the allotted monthly amount.